Since it's Thursday, the game is getting harder to ignore. I've been trying not to think about it too much, but less than two days away, that's nearly impossible. It seems like the Big East knew what they were doing scheduling this as the last game of the year. And at least the game finally sold out. 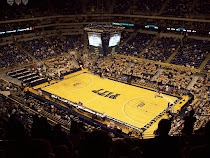 A little surprised that standing room only tickets are only being offered to students, but maybe Pitt didn't want those tickets ending up in the hands of Cincinnati fans. Second consecutive sellout? I wonder when that happened last. Eh, it probably wasn't that long ago, just seems like something that doesn't happen too often. Much of the talk this week is focusing on Tony Pike and how to stop him. Even with a great defense, I don't expect to fully stop Tony Pike. Pitt is going to allow yardage, but the key will be stopping Cincinnati on 3rd downs and getting off the field. Everywhere you look, the stories seem to focus on the Bearcats' offense. But Cincinnati isn't the only potent offense on the field. They realize that Pitt's offense is capable of putting up points as well. I could really be wrong on this, but I'm not expecting the kind of offensive show many are predicting. I think both teams may come out a little stiff (at least in the beginning) just because there's so much at stake. I do expect both teams to come out and take some shots downfield early, though, trying to make an early statement. So if one of them can connect, it could be the beginning of a shootout. And the fortunes of Pitt won't rest entirely on Dion Lewis, but he could go a long way in determining the outcome of the game. The Cincinnati offense has gotten most of the attention this season, but Pitt coach Dave Wannstedt seems just as concerned about the Bearcats' defense, which lost 10 players from a year ago. "I've been just as impressed with their defense, considering all the players they graduated off of a last year's defense," Wannstedt said. Cincinnati leads the Big East in tackles for loss. I guess coaches can find all kinds of things to worry about, but really. 45 points to UCONN? 36 to Illinois? Their defense clearly isn't terrible, but the offense is much more frightening. 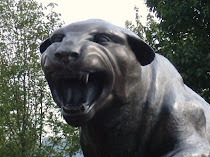 You've got to figure that Pitt's offense will be out to play much better after the WVU debacle, making the job of Cincy's defense that much harder. Former Pitt QB Tyler Palko may be around his hometown team for a while. Paul Zeise fields a variety of questions including possible bowl scenarios, an Aaron Berry update, and a game prediction. Greg Romeus also joins Dorin Dickerson as a finalist for a national award. ESPN.com's Big East blogger Brian Bennett also weighs in with a prediction.